High intake of refined sugar can cause detrimental effects on metabolism and is recognized as a risk factor for obesity, insulin resistance and diabetes . 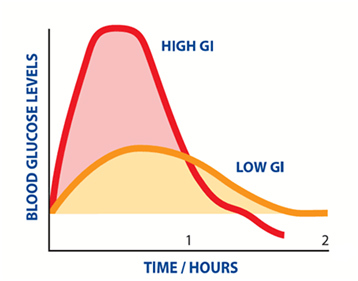 For patients with diabetes, taking low glycemic index (GI) food can help to improve overall blood sugar control. Added sugar in food items can increase the glycemic index and adversely affect the blood sugar control . With sugar being empty calories, devoid of other nutrients, it is often recommended to reduce the intake of refined white sugar in the diet. However, for anyone with a sweet tooth, the sweetness is addictive and hard to stay away from. Thus, the use of natural sweeteners becomes an appealing option. There are many natural sweeteners commonly used to replace sugar these days. Here, we will discuss seven commonly use natural sweeteners that can be used as sugar replacements. Unlike artificial sweeteners, which are chemically produced in the laboratory, these natural sweeteners are extracted from natural food sources, supposedly to be healthier. Are they? The following table provides a summary of comparison of different natural sweeteners with sugar. Honey is made by bees from flower nectar. 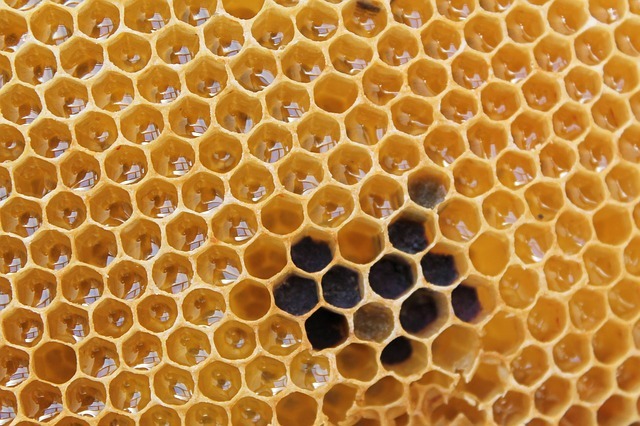 The use of honey as food and medicine has more than five thousand over years of history. Honey is slightly sweeter than table sugar (sucrose) and has a lower GI (GI=50). Nutritionally, honey is high in vitamins, minerals, and phytochemicals such as flavonoids and polyphenols, which can exert many therapeutic effects including antioxidant, antimicrobial, anti-inflammatory, and anticancer effects . Honey has also been proposed as a novel antidiabetic agent, with evidence of improving glycemic control demonstrated in several laboratory and clinical studies . Nevertheless, honey still contains sugars in the form of fructose and glucose. The addition of honey in food can still increase overall caloric consumption. Therefore, honey consumption should be moderated. Molasses is the main byproduct of sugar production, which converted sugar cane and sugar beet into sucrose. Molasses is a thick, dark syrup that contains carbohydrates (sucrose, glucose, and fructose), and amino acids, minerals, and vitamins. It is especially rich in B-group of vitamins, iron and other iron absorption enhancers such as sulphur, and copper, making it an ideal natural source of non-heme iron . Molasses also has high antioxidant activity due to its high phenolic contents . Molasses has a GI of 55, making it a borderline food item between low and moderate GI. A drawback is that it has a distinctive strong flavour which may overpower the original taste of the food. Like honey, it is also considered a natural caloric sweetener and not to be overindulged in. 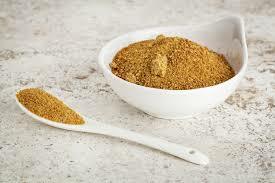 Coconut palm sugar is made from the sap of the cut flowers of the coconut palm. It has a caramel colour and tastes like brown sugar, making it an easy substitute for sugar in any recipe. It has been marketed in recent years as a healthy sugar alternative due to its much low GI (35) according to the Food and Nutritional Research Institute of the Philippines. However, a separate study by the University of Sydney measured its GI at 54, similar to honey and molasses . One study identified that coconut palm sugar contains a significant amount of inulin (4.7 g/100g), a prebiotic fibre, which has many preventive health benefits on the gastrointestinal tracts . Nevertheless, very little research has been done on coconut palm sugar to verify any of the health benefits claimed by its proponents. Maple syrup is produced by boiling down sap collected from the sugar maple, a type of tree widely distributed throughout northeastern North America. It has been used traditionally by the Native Americans as a medicine. It is less sweet and contains fewer calories per gram compared to sugar. It also contains trace amounts of minerals including manganese, zinc, calcium, potassium, iron, and magnesium. Like honey, maple syrup also contains a number of phenolic compounds that may possess antidiabetic effect, which needs to be studied further . 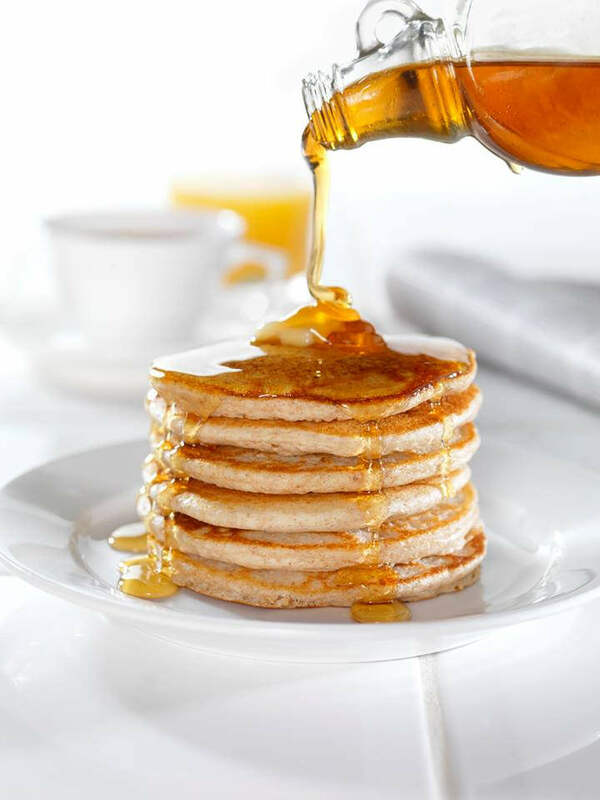 Although less caloric-dense compared to sugar, maple syrup still contains a lot of sucrose, so please spread it thinly on your pancakes. Agave syrup is traditionally produced from a cactus-like plant, the same plant from which tequila is made from. Originally used in Mexico and Centre America, it is now being mass-produced and marketed worldwide as a sugar alternative . Agave syrup has a very low GI (15) and has the potential to positively influence weight gain and glycemic control, according to a laboratory study . 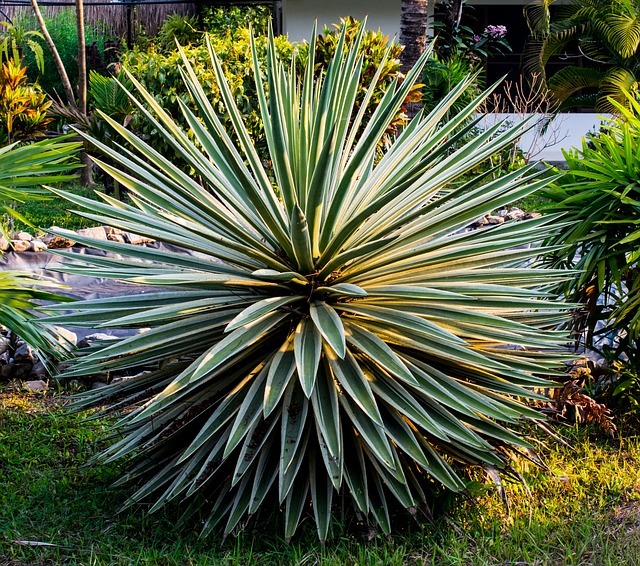 Agave plant – a cactus-like plant used to make tequila. Unfortunately, commercially produced agave syrup is highly refined and has very little resemblance to the traditional product. The low GI value is somewhat misleading since agave syrup is still a type of refined sugar with a very high fructose content similar to the infamous high-fructose corn syrup . Fructose is metabolized differently from sucrose and thus does not spike the blood glucose level. Nonetheless, high level of fructose can also cause weight gain and elevate blood triglyceride, potentially increase the risk of cardiovascular diseases . Hence, it is not advisable to use agave syrup excessively. Xylitol is a type of nonfermentable sugar alcohol that is naturally present in plants, including wheat, oat straw, and various fruits and vegetables. Xylitol is as sweet as sucrose a possesses a pleasant taste. Initially used in mints, chewing gum, and toothpaste due to its antibacterial effects that can potentially prevent caries and oral inflammation . It has since been marketed as a healthier alternative to table sugar with several laboratory studies showing its antidiabetic effects in improving the blood glucose, glucose tolerance, serum insulin and lipid profile [14,15]. It has also been shown to reduce accumulation of visceral fat, supporting its use in weight loss products . A key drawback of xylitol is its potential to aggravate gastrointestinal disturbances, such as gas, bloating and diarrhoea, especially among those who suffer from irritable bowel syndrome . Furthermore, the manufacturing process of xylitol involves hydrogenation with toxic catalysts such as nickel , this has caused many ‘health guru’ to cry foul and postulate its potential long-term health risk , something which has not been proved or disproved by any scientific study to date. Stevia is a type of plants widely grown for its leaves as a sweet herb. Research has shown that stevia has beneficial effects weight control, diabetes management, blood pressure management and control of dental caries. It also has anti-fungal, antibacterial, and immune modulating properties and can exert a healing effect on blemishes and cuts . Steviol glycosides, the active compound of stevia, is 300 times sweeter than table sugar. With no calories and a zero GI, stevia is classified as a natural noncaloric sweetener. 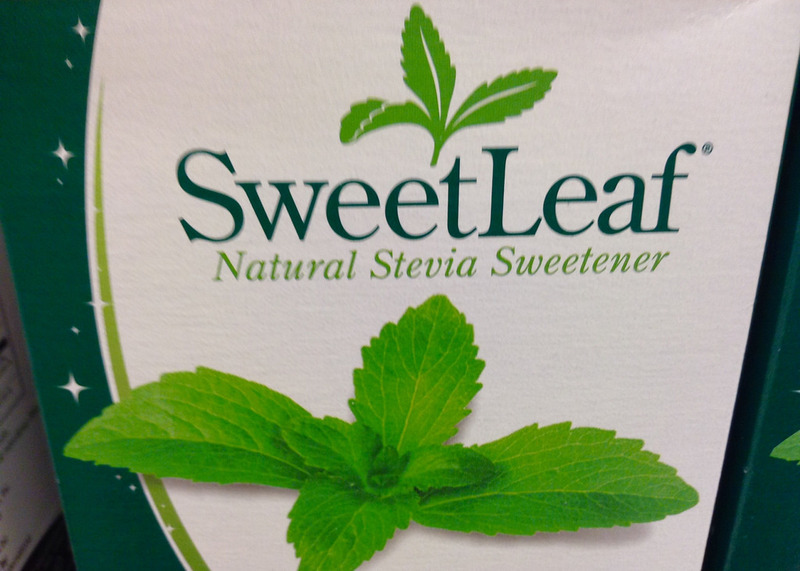 This has made stevia to be an ideal sweetener for diabetic patients. High-purity stevia leaf extract with more than 95% steviol glycosides are being produced and approved for use as a food and beverage additive . Earlier animal research on stevia has shown that stevia may have mutagenic effects that can cause cancer. This has led to the ban on stevia to be used as a food additive in many countries, including the United States, Canada, Europe, as well as Singapore . The mutagenic effect of stevia has since been debunked by many high-quality studies, with the latest evidence-based review supporting the use of stevia as a completely safe substitute for sugar . 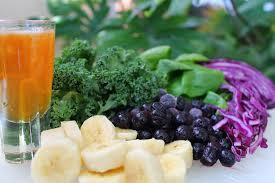 It is more important to eat healthily, with a diet high in fruits and vegetables. The seven natural sweeteners introduced here are all being marketed as healthier substitutes to sugar. However, it is important to bear in mind that ‘natural’ does not necessarily equate ‘free of health risk’, especially when the final product is derived from refinement and complex manufacturing process. Hence, it is advisable to make use of these sweeteners only sparingly and not to be over-consumed. Substituting sugar with lower GI sweeteners is only a small aspect of the overall strategy to prevent and control diabetes. More importantly, to stay healthy, one should adopt an active and healthy lifestyle through exercising, eating a healthy diet rich in fruits and vegetables, and reduce stress in daily life. I.A. Macdonald, A review of recent evidence relating to sugars, insulin resistance and diabetes., Eur. J. Nutr. 55 (2016) 17–23. doi:10.1007/s00394-016-1340-8. Glycemic Index and Glycemic Load | Linus Pauling Institute | Oregon State University, (n.d.). http://lpi.oregonstate.edu/mic/food-beverages/glycemic-index-glycemic-load (accessed November 20, 2017). Sweeteners: Relative Sweetness, Calories, Glycemic Index – Nutrients Review, Nutr. Rev. (n.d.). http://www.nutrientsreview.com/articles/sweeteners.html (accessed November 20, 2017). S. Samarghandian, T. Farkhondeh, F. Samini, Honey and Health: A Review of Recent Clinical Research., Pharmacognosy Res. 9 (2017) 121–127. doi:10.4103/0974-8490.204647. O.O. Erejuwa, S.A. Sulaiman, M.S.A. Wahab, Honey–a novel antidiabetic agent., Int. J. Biol. Sci. 8 (2012) 913–34. doi:10.7150/ijbs.3697. R. Jain, P. Venkatasubramanian, Sugarcane Molasses – A Potential Dietary Supplement in the Management of Iron Deficiency Anemia, J. Diet. Suppl. 14 (2017) 589–598. doi:10.1080/19390211.2016.1269145. V. Valli, A.M. Gómez-Caravaca, M. Di Nunzio, F. Danesi, M.F. Caboni, A. Bordoni, Sugar cane and sugar beet molasses, antioxidant-rich alternatives to refined sugar, J. Agric. Food Chem. 60 (2012) 12508–12515. doi:10.1021/jf304416d. L. Barhum, Coconut palm sugar: Can people with diabetes eat it?, Med. News Today. (n.d.). https://www.medicalnewstoday.com/articles/317613.php (accessed November 20, 2017). M. Shoaib, A. Shehzad, M. Omar, A. Rakha, H. Raza, H.R. Sharif, A. Shakeel, A. Ansari, S. Niazi, Inulin: Properties, health benefits and food applications, Carbohydr. Polym. 147 (2016) 444–454. doi:10.1016/j.carbpol.2016.04.020. E. Gardner, Alternative sugars: Agave nectar, Br. Dent. J. 223 (2017) 241–241. doi:10.1038/sj.bdj.2017.697. S. Hooshmand, B. Holloway, T. Nemoseck, S. Cole, Y. Petrisko, M.Y. Hong, M. Kern, Effects of Agave Nectar Versus Sucrose on Weight Gain, Adiposity, Blood Glucose, Insulin, and Lipid Responses in Mice, J. Med. Food. 17 (2014) 1017–1021. doi:10.1089/jmf.2013.0162. L. Tappy, K.-A. Lê, Health effects of fructose and fructose-containing caloric sweeteners: where do we stand 10 years after the initial whistle blowings?, Curr. Diab. Rep. 15 (2015) 54. doi:10.1007/s11892-015-0627-0. M.W. Roberts, J.T. Wright, Nonnutritive, low caloric substitutes for food sugars: clinical implications for addressing the incidence of dental caries and overweight/obesity., Int. J. Dent. 2012 (2012) 625701. doi:10.1155/2012/625701. M.S. Islam, Effects of Xylitol as a Sugar Substitute on Diabetes-Related Parameters in Nondiabetic Rats, J. Med. Food. 14 (2011) 505–511. doi:10.1089/jmf.2010.0015. M.S. 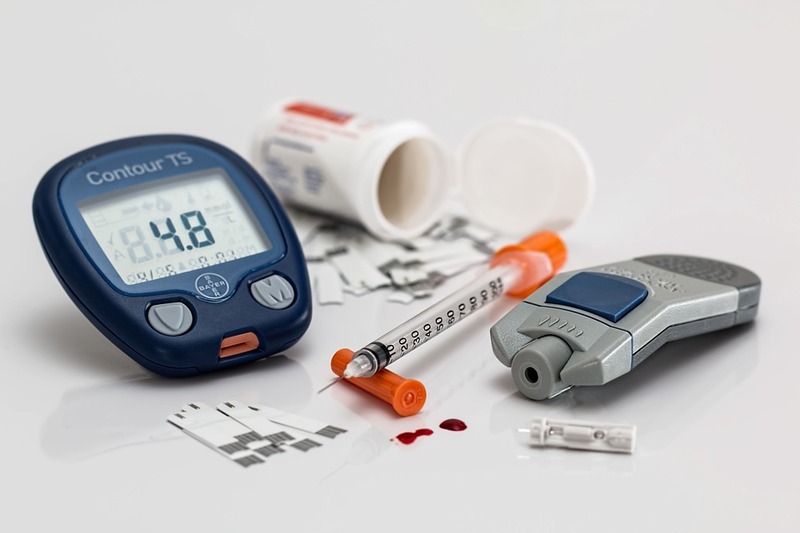 Islam, M. Indrajit, Effects of Xylitol on Blood Glucose, Glucose Tolerance, Serum Insulin and Lipid Profile in a Type 2 Diabetes Model of Rats, Ann. Nutr. Metab. 61 (2012) 57–64. doi:10.1159/000338440. K. Amo, H. Arai, T. Uebanso, M. Fukaya, M. Koganei, H. Sasaki, H. Yamamoto, Y. Taketani, E. Takeda, Effects of xylitol on metabolic parameters and visceral fat accumulation., J. Clin. Biochem. Nutr. 49 (2011) 1–7. doi:10.3164/jcbn.10-111. K.K. Mäkinen, Gastrointestinal Disturbances Associated with the Consumption of Sugar Alcohols with Special Consideration of Xylitol: Scientific Review and Instructions for Dentists and Other Health-Care Professionals., Int. J. Dent. (2016) 5967907. doi:10.1155/2016/5967907. J.-P. Mikkola, T. Salmi, A. Villela, H. Vainio, P. Mäki-Arvela, A. Kalantar, T. Ollonqvist, J. Väyrynen, R. Sjöholm, Hydrogenation of xylose to xylitol on sponge nickel catalyst: a study of the process and catalyst deactivation kinetics, Brazilian J. Chem. Eng. 20 (2003) 263–271. doi:10.1590/S0104-66322003000300006. Xylitol Side Effects: Safe or Dangerous, Dr. Axe. (n.d.). https://draxe.com/xylitol-side-effects/ (accessed November 21, 2017). M. Ritu, J. Nandini, Nutritional composition of Stevia rebaudiana , a sweet herb, and its hypoglycaemic and hypolipidaemic effect on patients with non-insulin dependent diabetes mellitus, J. Sci. Food Agric. 96 (2016) 4231–4234. doi:10.1002/jsfa.7627. M. Ashwell, Stevia, Nature’s Zero-Calorie Sustainable Sweetener: A New Player in the Fight Against Obesity., Nutr. Today. 50 (2015) 129–134. doi:10.1097/NT.0000000000000094. K.R. Tandel, Sugar substitutes: Health controversy over perceived benefits., J. Pharmacol. Pharmacother. 2 (2011) 236–43. doi:10.4103/0976-500X.85936. A.A. Momtazi-Borojeni, S.-A. Esmaeili, E. Abdollahi, A. Sahebkar, A Review on the Pharmacology and Toxicology of Steviol Glycosides Extracted from Stevia rebaudiana, Curr. Pharm. Des. 23 (2017) 1616–1622. doi:10.2174/1381612822666161021142835.